This error can occur with probably any of the EntityFrameworkCore commandlets. Update-Database is just the one I ran into problems with, so I’m using it as the example here. Apparently, I had inadvertedly messed up my dependencies, and installed a package referencing Entity Framework (as opposed to the Core version of it). This caused the commandlet to be available twice – and apparently the error for that situation is exactly the same as the one for not having the commandlet available at all! With this, you should only get a result for EntityFrameworkCore package. If you get anything else than one result, you probably have an issue. Luckily, since this is usually not intentional, it’s easy to fix. We now know you essentially have package conflicts in your project, and the way to fix this is to get rid of the conflicting versions of the packages. If your project is built on .NET Core, you’ll only want to have EntityFrameworkCore package, and for .NET Framework the non-Core one! To solve this, search the Solution Exlorer for “EntityFramework” – and you should actually see the package you’ve been using that refers EntityFramework instead of EntityFrameworkCore. Remove that package and use one built for EntityFrameworkCore instead! However, this will probably not be quite enough. PowerShell, even when running inside Visual Studio, caches the imported modules. If you have imported a module (even implicitly), it’ll stay no matter what you do – remove the dependency, and then build, rebuild, clean – the session is still the same, and the package is there. Finally, long story short: restart Visual Studio. While you can probably clear the session and unload the modules other ways as well, this is the easiest solution. Developer / Architect / Consultant at Koskila / Valo Solutions Ltd. / Norppandalotti Software Co / Alter - Experience Ideas Ltd.
Antti Koskela is a proud digital native nomadic millenial full stack developer (is that enough funny buzzwords? That's definitely enough funny buzzwords! ), who works as a Solutions Architect for Valo Intranet, the product that will make you fall in love with your intranet. Working with the global partner network, he's responsible for the success of Valo deployments happening all around the world. He's been a developer from 2004 (starting with PHP and Java), and he's been bending and twisting SharePoint into different shapes since MOSS. Nowadays he's not only working on SharePoint, but also on .NET projects, Azure, Office 365 and a lot of other stuff. This is his personal professional (e.g. professional, but definitely personal) blog. 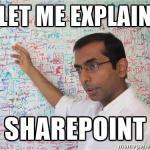 SharePoint Localization – a (somewhat) comprehensive how-to! Help! My ASP.NET MVC textbox date format is wrong! How to fix “AADSTS90008: The user or administrator has not consented to use the application”? How to remove Azure Functions without deleting the Functions App? Welcome! You just stumbled upon the home page of an all-around artesan code crafter, Antti "koskila" Koskela. Don't hesitate to leave comments. I read them all and try to reply as well! More information about me on the About -section! Solutions are worthless unless shared! Check out the tech & programming tips, often about ASP.NET MVC, Entity Framework, Microsoft SharePoint Server & Online, Azure, Active Directory, Office 365 or other parts of the Microsoft's stack. I've been developing both classic server stuff, but also (and actually especially) more cloud-oriented stuff in the past 10 years. There's an occasional post about software issues other than on Microsoft's stack, and a rare post about hardware, too! And sometimes I might post about my sessions at different community events, or experiences as an expat living in a foreign country (in 2017, that country was the USA, in 2018 & 2019 Canada). Want the latest tips directly to your inbox? Support my blog and try a better browser! How to access EF’s DbContext in an Azure Function on V2 runtime? How to get current user in ASP.NET Core? How to disable the footer in Modern SharePoint? Putting out content can be frightful. Although you get used to it over time, I still hesitate to publish from time to time. Getting positive feedback is very powerful. Keep this in mind when you read your next article. Think about writing a comment, even if it's just "thank you." Hit me up on Twitter or get in touch through the Contact-form. I'm occasionally at different SharePoint-related events (check out where I'm speaking), and currently live between Montréal and Finland. During 2017 you could've run into me in the US of A as well (I was living in Wisconsin)! To the top of the page! Back in the day I just thought .net is cooler than .fi or .com. And it is! Want to see old versions of the site? Check them out on Archive.org!